Evergreen content has many benefits in a marketing. The best part is that it is universal and can be used for social media as well as on your blog to help you gain results from it over a long period of time. If you’ve been doing marketing for some time, chances are, you’ve heard the term evergreen content a few times, and you might also have gotten the recommendation to start producing it and making evergreen content a part of your content creation strategy. In this article, we’re digging deep into evergreen content, look at what it is and what it means, and most importantly, how you can use it in your marketing to produce better results. It’s hard to start talking about a subject if the term is completely unfamiliar. Evergreen content is content that remains relevant and up-to-date to your audience over a long period of time. The name itself is quite revealing, but the term evergreen refers to plants that keep their leaves all year round and remains evergreen. The same idea is hoped to happen with your content when you create it in an evergreen way. Normally, when you post something on social media, it gets the most attention within a few hours and continues to get eyeballs up to around 48 hours, but after that, the post is dead. So much for being evergreen, right? You’ve spent a lot of time and effort into creating a piece of content for what? To have people see it for 48 hours? Obviously, the content you share, on your blog as well as on social media, and other places too for that matter, is evergreen in the sense that they are up there. They are never deleted. The thing is, evergreen content continues to be relevant over time, but most importantly, continues to generate results and reach people. Evergreen content is a bit tricky on social media, because as you are posting, your post ends up farther and farther down your feed, making it more difficult for people to find it. Sure, the content that you shared might have been super evergreen and is just as relevant today as 5 years ago, but if people can’t find it, it won’t do much good for you, will it? This is why evergreen content is mainly spoken about in SEO context, because no matter if a blog post is 10 years or 2 months old, Google can still see it and then rank it high if it’s any good. Most people talk about SEO evergreen content, and very few people are talking about evergreen content for social media, and this is a good thing for you! It’s easy to see why, because if your posts are ”disappearing” after 48 hours, why would you want to create evergreen content for social media when you can create striking and attention-grabbing content that has a short lifespan? Well, the simple answer is that you’re not just going to focus on one or the other. In fact, they complement each other very well, and the best results are when you create both. Brands also need up-to-date news and time-sensitive material so you don’t come off as some old and boring figure that isn’t educated in what is happening today, but more so what has happened over a long period of time. Because the best way to predict the future is to look at the past. But mixing evergreen content with time-sensitive content such as news shows that you aren’t a boring brand that isn’t behind on the latest events and industry news. First off, evergreen content is, as mentioned earlier, difficult to produce considering the fact that your posts on social media normally get a short time in the spotlight, but it doesn’t have to be that way. In fact, there are several ways you can go around this and put your evergreen posts on a pedestal for the world to see. The good news is that with low competition comes great opportunity. As everyone is trying to produce viral content (and failing), you can produce content that remains relevant for a longer period of time, and that generates results for you even though it has passed 24 hours since you shared it. What type of content is evergreen? Another thing that can prevent your content from becoming evergreen is linking to other sites within your blog post or social media post that are not evergreen themselves. If you link to something only to later have the page deleted or taken down, it won’t be very evergreen. It gives an impression that the information on the page is outdated and irrelevant. As you can see, evergreen content generally focuses on broad subjects that stay relevant over time, while the non-evergreen content focuses on what is relevant now, and doesn’t think about the fact that it will change in the near future. People are so focused on creating evergreen content for their website that they’re forgetting social media. So now, we’re going to dig into the many ways you can share evergreen content on social media and generate amazing results from it. The first thing you need to do is learn to identify which of your posts and which content already is evergreen. In other words, the content that will only become more and more irrelevant over time. The best part about evergreen content is that it benefits you both in terms of search ranking and SEO, but also on social media. The means that by looking at the posts you’ve already posted on your website, you can see which posts the time has shown are evergreen. When you’ve identified the posts that time has shown to be evergreen on your website, why not take those posts and share them on your social media to further boost? You know that the topic is relevant, and you know that the type of post has shown to be able to withstand time. Now, it’s just up to you to share it on social media as well. Okay, so you’ve identified an evergreen post from your website, or, you’ve created a social media post based on a topic that you know is evergreen, but that doesn’t mean the post will be evergreen, will it? Sure, the topic itself might have the nature and relevancy of an evergreen post, but the catch is that just because your post is evergreen doesn’t mean that it will slowly be pushed down farther down your feed, and ultimately lose eyeballs. Sow what can you do about this? There are several social platforms that have this feature, but there are also several platforms that don’t. Therefore, you have to satisfy with the platforms that do have this feature available for now. Pinned posts mean that you pin a post at the top of your profile, making it impossible for miss for the people who come across your page. In other words, it doesn’t matter how many posts you share because your pinned post will always be presented at the top of your feed until you decide to remove it from there. In other words, with this method, you can make your evergreen post forever, however, you should also remember that just because a post is evergreen doesn’t mean that it will be for all eternity. Have you gotten interviewed on someone else’s blog, been a part of an expert roundup, or even made a guest post? All of these are great opportunities to share content on your social media! This type of content differs from the content you yourself are creating for your own website because chances are, you’re contributing with your opinions in the form of an interview or similar, sharing ideas, thoughts, and expertise on a subject related to your industry. The best part about this is that from the interview, there are things you can quote, and sentences you can extract from the post and make it into a social media post that provides value to your audience. It’s very difficult to make every single part of a 2,5, 8 thousand word article relevant and evergreen, but that’s why quotes are so great. They’re just a short snippet of the whole text, and when sharing on social media, you are obviously taking quotes that will be as relevant tomorrow as they were yesterday. Lastly, sharing content from this type of content that has been published on someone else’s website is a great way to prevent yourself from becoming too self-promotional. If you’re just linking to your own website over and over, people will get tired, but if you link to different resources within your space, you avoid becoming too self-promotional – even if the article is about you, or a contribution by you. In other words, you’re promoting yourself, but not directly promoting yourself. Quotes are appreciated all across the web, as long as they provide value. They’re short, snappy, interesting, and insightful. Best of all? They’re easy to make evergreen! Even so that a quote can be evergreen for several hundred years. Are you familiar with this quote by Julius Caesar? ”Veni, Vedi, Vici” – I came, I saw, I conquered. Probably. And what’s most amazing is that this quote is several thousand years. This is why making your quote into a visual is a good idea. Sure, it is still text, but since it is incorporated into a stunning visual, you’ll have an easier time grasping people’s attention and getting them to read it. Considering the power that visual content has in marketing, it is a great way to better mediate your message and give it more power. If you’ve extracted a quote from an interview or similar, as I talked about in the previous point, you can just choose an appropriate (and evergreen) image and then add your quote onto it. If you don’t have your own quote, you can always take quotes from someone else. However, if you have an engaged audience, people will be more engaged in reading your quotes than everybody else. 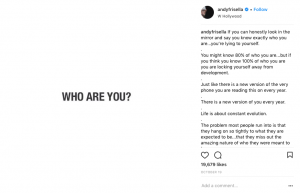 When it comes to evergreen content on social media, more specifically quotes in this matter, I’d advise you to stay away from using the world’s most famous quotes that people already know. Sure, they are the most evergreen quotes of all because they are loved by everyone, even though they are old. But remember that people want change, they don’t want repetition. Instead, if you’re going to take a quote from someone else, choose one that not many people know of so you can provide value to your audience instead of just presenting them with a quote they’ve heard and read a hundred times before. The best part about sharing visual quotes on social media is that they are super shareable, but also that they are always relevant. They’ve been popular for a few hundred years, and they’ll continue to be relevant at least a few hundred years more. So if you just put a few minutes into creating an image with a quote on it, it can be evergreen and live on a couple hundred years. Who knows! In the first point, we looked at how you can identify your evergreen blog posts. But now, we’re going to share them on social media. Obviously, you want to promote your content as much as possible, right? This brings me to the first stage of the article which is creating one. I mentioned that you should mix both evergreen and short-term content, but the reason why evergreen content has gotten a lot of attention is that is has proven to give better results for the same efforts. What would you rather have, a blog post that continues to drive in traffic and generate results after a year you’ve written it, or a blog post that you spent the exact amount of time creating, but that has completely become forgotten and that drive zero traffic a month later? Therefore, when writing blog posts, you should focus on writing posts that are evergreen in nature. In the beginning of this article, I listed a few ways you can make your posts evergreen. You can use that as a starting point. The best part about having blog posts that are evergreen is that you can share them over and over again on social media. Obviously not directly after each other, but because the blog post is still relevant a year from now, you can share it again when some time has passed, people have forgotten about it, and you have accumulated new followers. There are several other ways to bring some new life into your evergreen posts when you are going to share them on social media. The most common way people share their blog post on social media is to share a link and then include the header image for that post (which normally appears by itself together with the link). And fine, there’s nothing wrong with that, but if you plan on doing that over and over again, especially with the same blog post, eventually it will lose effect. Therefore, you need a strategy for how you’re going to refresh your evergreen content. One way is to change the title when sharing it on social media. Just because you change the title on your social media doesn’t mean that you have to change the title of the blog post. 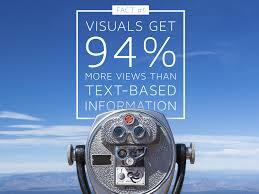 The best part is that you can get an insight into what titles seems to be generating the best results. From that, you can learn more about your audience’s preferences, but also for future posts and what titles generate the best click-through-rate. Another way to make your evergreen content more appealing is to share a short snippet of your article in the social media post. That way, people will start reading and then because you’ve grabbed their attention, they are going to want to continue reading your post, and as a result, click through to your website. Questions in nature are almost always relevant for all eternity, as long as it’s not a specific question focusing on recent events. Well, Game of Thrones episode 2 will become old and forgotten as new episodes come out, or the series stops. Food, on the other hand, is always relevant because humans got to eat, right? Remember that social media is called ”social” for a reason. You’re meant to be social! There are literally endless of questions you can ask because you don’t have to ask questions that are directly related to your niche. Asking more personal questions that are targeting the individual will allow you to establish a stronger relationship with them and a more genuine one. 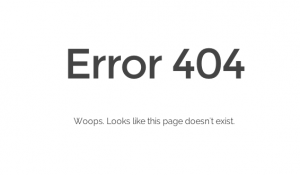 This is a type of post that has existed since social media first came, and it is a type of post that will continue to exist until social media disappears or grows old, or when the end of the world arrives. Who knows which of those will come first. 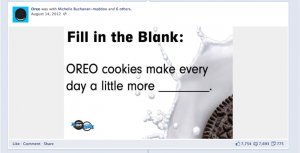 Fill in the blank posts is a fun way to engage your audience, and most importantly, it is a type of post that is evergreen. Remember that when you are doing fill in the blank, create sentences that are relevant for a long time to come, and don’t focus on something that has a short lifespan and relevancy. Creating content for social media is both time-consuming and difficult. There’s no doubt about it. What’s more, considering the fact that ultimately, you should post at least once a day across all social media platforms, it can get quite stressful. A problem with this is that people often compromise quality for quantity in being able to post that much, even though the reality is that quality is far more important than quantity on social media. You don’t have to create all the content you’re sharing on social media, not if you are striving to post evergreen content either. You’ve shared posts and content from your own website, so why not share evergreen content from other websites in your industry? Why not look at the industry leaders and share something from them? Chances are, you’ve found blog posts and articles from people in your industry tremendously valuable and helpful, and if you have found them helpful, chances are, your audience will find them valuable, too! When sharing a post, make sure that it is evergreen, though. You don’t want to share a blog post by someone in your industry about the week’s latest events because that’ll only be relevant for a week or so. Make sure it is a blog post that people can actively go back to and find it just as relevant and useful each time. There are things that remain relevant and loved no matter how much time passes by. 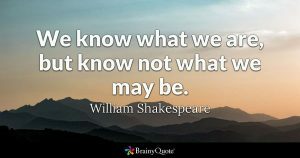 The quote from JuliusCaesar, the Roman emperor is one example, even though the quote was said several thousand years ago. It’s quite incredible if you think about it, really. The same goes for classical books that practically everyone knows of. Sharing quotes from classic books is, therefore, an excellent way to share evergreen content on social media, as the quotes will go out of style when the books do, which I doubt will happen in the near future when talking about the most classic books. If you want to really dig into the classics, here are 99 of the top classic books. This is why, at least according to me, topics related to humans is the ultimate evergreen topic. As the classic books have evolved to becoming just classics, a lot of quotes have been made from the books and many of which have become immensely popular as a result. You can share both famous and less famous quotes on your social media, but remember that doing so can have both ups and downsides. First off, if you share a very famous quote, chances are, people are going to recognize it and be able to resonate with it. On the other hand, if people have seen the quote earlier, there’s a risk they will find it boring and ”nothing new”. And the opposite goes for sharing a less well-known quote. On one hand, people might find it interesting to read an old quote that is new to them because it brings them value and a lesson. On the other hand, if they don’t recognize the quote, maybe they won’t resonate with it. Either way, quotes from classic books is a tremendous way to get access to, and share evergreen content on social media. However, for choosing well-known quotes or less-known quotes, you’ll have to experiment and see which your audience finds most appealing. 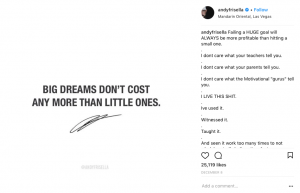 Remember that when you are sharing your favorite quotes, you can, of course, make them more appealing and attention-grabbing by turning them into a visual. If you want to make it more personal, you can share a quote from a classic book that has meant a lot for you, or inspired you and tell your audience how it has impacted you (or your brand). That way, you can with the help of evergreen content build a more intimate relationship with your audience, thus making them more loyal to your brand. The best part of talking about the past is that it doesn’t change. What has happened has happened, and we can only learn from it. In a way, the past is, therefore, more evergreen, because it remains the way it is. Of course, If you write a guide on how you used Myspace 10 years ago, it just won’t be relevant anymore. Although, you could learn a few lessons from that, even though the social media is, well, dead. There are lots of things you can talk about from your past, both personally and as a business that people will find interesting. Let’s say you tell the story of how you started your company and grew it to the size it is today. While some things look different today, there are just things, principles, and mindsets that never change. What’s more, there are also lessons to be learned from everything, even from things that happened a long time ago. In other words, even though the content you share with your audience is referencing the past, it can still be completely relevant to your audience, while all bringing lots of value to them. If you’ve worked with social media the right way, you should have been able to accumulate followers, but that’s not all. You should have been able to accumulate engaged followers who are interested in your niche and industry. And because your followers are engaged in your industry, what do they want to do? They want to learn more about the industry they’re passionate about of course! The good news is that you can give that to them by providing them tips to books that give information and knowledge about your niche. The best part about this is that it is a great way to give your audience knowledge (value), without having to produce it yourself. And in case you didn’t know, providing value is the single more effective way to get something from your audience. The truth is that people are often eager to learn more and become better at the industry they are passionate about (which means the industry you are operating in if you’ve done your targeting correctly), but they just don’t know where they should begin. Therefore, a lot of people will thank you for your book recommendations. It’s simple really, and the best part is that books often are relevant over a long period of time, this is true even if they don’t become classics in 100 years. In other words, a book recommendation remains evergreen for at least a few years at a minimum. If you’re a person who regularly writes guest posts for other blogs, this is a perfect type of evergreen content that you can share on your social media. Obviously, the blog post itself has to be evergreen, but the good thing is that you, just like when you share other people’s content, avoid coming off as too-self-promotional, even though that is exactly what you are doing. What’s more, sharing guest posts also helps add some diversity to your social media posts and make them more interesting. When sharing articles, the best method is often to share the introduction or the first few lines of the post to encourage your audience to continue reading. Of course, this demands that your introduction is truly interesting and attention-grabbing because otherwise, it won’t do much good, will it? If you prefer, you can also take one or a few quotes from the article you wrote as the caption for your social media post where you link to your guest post. Sometimes, coming up with content to share can be difficult. You’re searching within the deepest alleys of your brain, yet still, you are out of ideas. When that happens, it can be frustrating, and therefore, it is good to have a plan. One method is to simply ask your audience! You’d be surprised at how many ideas they have, and the tips you can get from them. Not only will this give you short-term ideas on what to blog about, but you’ll also get an idea of what type of content your audience actually wants to see. That way, you can create more of that type of content, tune it so that it is evergreen, and then share it with them. The best part is asking your audience for the things they want to know and learn and have your answer. As mentioned earlier people in your industry want to improve their knowledge, and if they have any questions, they’ll be more than happy to have you answer it. When it comes to evergreen content, your answer might not just help one person, but more so, it can help tons of people, and be valuable for people for a long time to come. This is something that you can share on social media that is really evergreen. Chances are a lot of people who are following you on one social media platform doesn’t follow you on all the others that you are active on. Therefore, you should take the opportunity to promote your own social media account on one platform from another. Doing this is super simple, and it is also evergreen, as (hopefully), you’ll be using your social media accounts actively and consistently for years to come. If you aren’t active on a platform, then don’t ask people to follow you on it. Moreover, if you share the exact same content on all your social media platform, don’t use this tactic either. After all, what’s the purpose for people to follow you on more than one platform if you share the exact same content across all your social media accounts? As I mentioned earlier, a lot of things change, but very little has happened with the human in the latest few hundred years. It’s just everything around us that changes at a scary fast speed. If the people who are following you on social media are interested in your industry and niche, there’s a great chance that they’d love to read or watch an interview with an industry leader that they look up to. But the catch, however, is that you aren’t going to ask them the standard questions that everyone asks in an interview, but instead, you’re going to ask questions that make the interview relevant for a long time to come. In other words, with the help of cleverly chosen questions, you’re going to make an interview that is evergreen. As mentioned, something that is always relevant is humans. What people think, how they view life, and how they live their life, is always interesting for people to hear about, no matter when they live. Think about it: people are fixating about how people lived during the medieval times, the Roman empire, renaissance, and so on. I think you get the point that I am trying to make here, and that is that the society is changing, but humans aren’t doing so a lot, and people will always be interested in other people. Of course, if you want to ask questions related to your industry, I won’t stop you from doing so. As long as you ask questions that just won’t be relevant for a week or two. The best way to predict the future is to look at the past. You are more than welcome to share that quote on social media and take full credit for it. Making predictions of the future is a great type of content that is evergreen, however, you should remember that it is only evergreen until time either shows that you were right, or that you were wrong. Obviously, having right is so much more fun, and if you guess on something huge, chances are, your prediction will be evergreen for a time after as well. 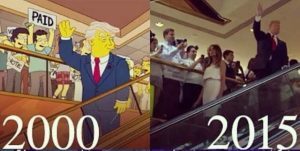 Just look at how the Simpsons anticipate Trump in 2000. Or, how the USA was going to vote during the election. Now, of course, it can all just be coincidences, but it’s quite interesting still, that the people behind the series use it to try and guess the future. If you’ve taken the time to create really through and detailed content, you obviously want to get the most out of it, right? There are, however, mistakes that people make when doing this. The first is to repost the same post over and over again without making any changes. The second is sharing the same blog post (with or without) minor changes several times over a short period of time. By sharing the same post without doing any changes, you’ll eventually bore your followers to death. Think about it: How fun would it be to eat the same food day in and day out? Not so fun, right? When you share the exact same post over and over, eventually will learn to look past it, and therefore look past it. In the worst case, they might even choose to unfollow you. No matter if you make changes to the post where you are promoting your piece of content, or aren’t making any changes, you cannot post and promote the same piece of content too many times over a short period of time. The best way to promote the same piece of content is, first of all, not to promote it too often. If you wait some time, people might have forgotten about it, and will, therefore, find it valuable, even though they’ve read it before. And since the piece of content you’ve written is evergreen, it won’t do too much if you wait some time between the times when you promote it. What’s more, you also want to consider changing the way you promote the post on social media. This means that simply linking to the blog post time after time is just not going to cut it. You need to give your followers different dishes every time so they don’t lose patience or interest. One post, you can include the introduction of the post and then include the link, in another post, you can share the header image for that post and link to it, the third post, you can take quotes from the article and then link back to it. That way, you give your followers a complete menu to choose from – from starter to dessert, without ever boring them. 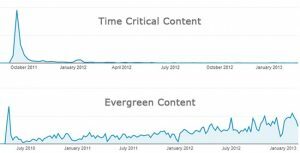 If you’re notspending majority of your content creating efforts on evergreen content, you’re missing out. Evergreen content lets you pick the fruit from your labor for years to come, while short-term content will only be generating results during a short period of time. But investing more resources in creating evergreen content, you’ll get more results from the same efforts, compared to if you would only focus on the short-term content.